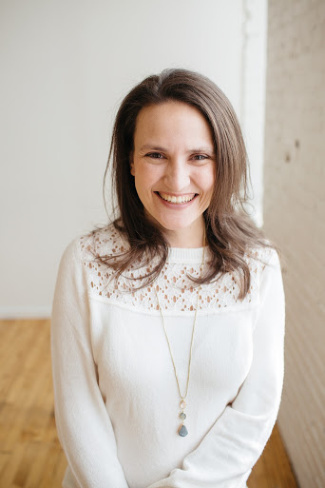 I write a lot about Montessori and Montessori-inspired activities. They are fun and exciting and look really good on a blog. 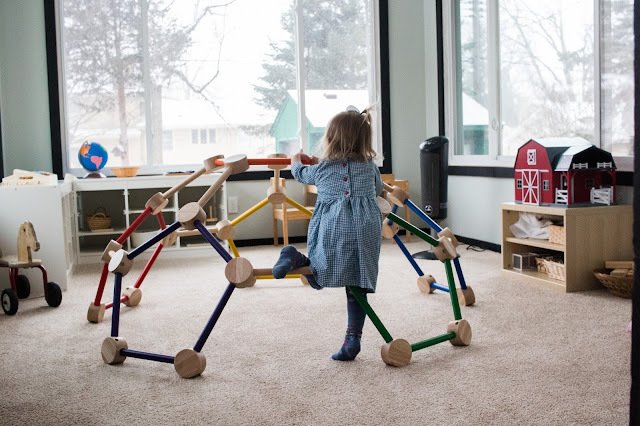 So, do Montessori spaces. They are simply beautiful. I write less about Montessori the lifestyle. And, that can be confusing, because one does not exist without the other. 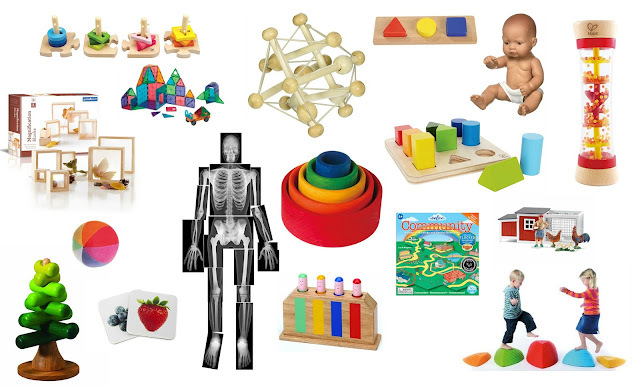 Montessori is not a series of activities that keep your child busy. It is a change, an internal shift, in YOU! It's a shift in how you think about children and how you relate to them. Follow the child, in all things. Respect the child as a whole person. Treat the child as you would be treated. The process is important, not the product. Slow down and move at the child’s pace. Offer meaningful choices to the child. 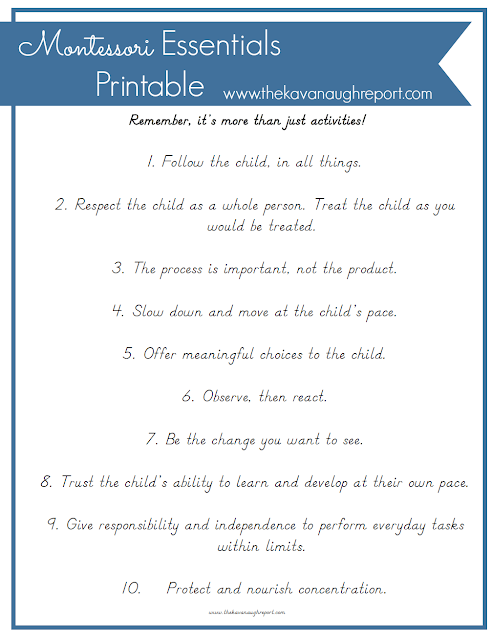 Trust the child’s ability to learn and develop at their own pace. Give responsibility and independence to perform everyday tasks within limits. To keep this in mind, I've created a printable! Print it out and hang it up, keep these ideas at the forefront of your mind on this journey! 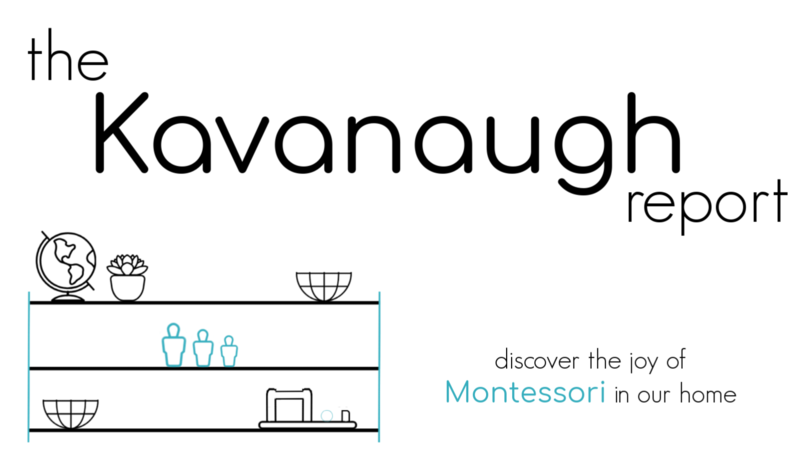 Above all, remember, Montessori is more than just activities! It is a way of life.